We live in a world where information is regularly twisted and manipulated to serve the interests of those sharing this information. This policy extends to everything from politics and news, to health and steroids. 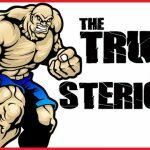 Here are five commonly told lies regarding steroid use. There’s a very good chance you’ve heard each of them in your life. But are they really true? There is a great deal of data out there which illustrates the fact that muscle cell membranes never return to their original size, even several years after steroid use is discontinued. 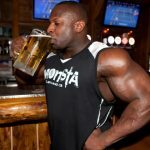 While a bodybuilder will not be able to retain his 260 pound size, he’ll never return to his original 160 pound self, providing he’s giving his body some modicum of training and proper nutrition. Long-time steroid users from the 60s and 70s still dwarf many fans at bodybuilding expos, even 30 years after their last steroid shot. Some of the size does remain permanently. Tens of thousands of Americans use steroids вЂ“ legally вЂ“ each day. 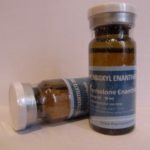 Upwards of over a million Americans use artificial testosterone supplementation each week. It’s a normal part of our medical culture. Are the steroids purchased from a Chinese manufacturer by a 17-year old football illegal? Of course they are. 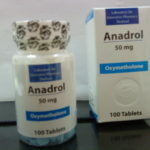 However, the Anadrol consumed by HIV patients, HRT given to men in their 40s, and testosterone shots administered to people of all ages are very much legal in many cases. There is no doubt that it must be an incredible high to wear 40 pounds of muscle that your peers do not вЂ“ and steroids deliver that feeling! However there have been zero recorded cases in modern history of any person being chemically addicted to steroids of any kind. Sure, they like the feeling of being superhuman, and some users will use gear much longer than the recommended 12 to 16 week cycle limit. However, they are simply immature and not physically dependent on the compounds in the same way we see with victims of alcohols or narcotics addiction. The air we breathe and water we drink also leads to death. Our eventual demise is inevitable and can be blamed upon any number of factors in our environment. It would be easy to at least suppose many of the early deaths of bodybuilding legends from decades past was due to steroid use, with the exception of one thingвЂ¦ most of these men are still alive, healthy and vibrant. 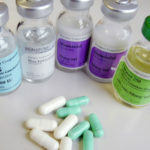 Aside from potential liver, heart, and kidney damage when steroids are abused, legal and responsible steroid use has not been shown to cause death. Your genetics are set when you start lifting. No amount of drugs in the world can change them. 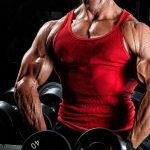 Steroids simply allow you to reach your natural levels much faster. In other words, you may be able to reach 95% of your physical potential within 5 years, instead of the 15 years it would take to achieve it naturally. However, if you were born with high calves or short biceps peaks, you will be stuck with them forever!